Self Improvement & Development Courses - New Year New You! Dec 03, 2014 New Year’s resolutions are fun to make, but difficult to maintain. Self Improvement & Development is typically front and centre when it comes to New Y.. The Modern Business Environment Aug 24, 2015 Meddling government red tape, surly workers doing substandard work and accidents at an all-time high? There may be something wrong with the environment in..
Care for the Carer Apr 25, 2017 Are you caring for an elderly family member, a friend or a neighbour on a regular basis? However much you like or love the person being cared for, the emotional..
5 Steps For Greater Empathy Jun 04, 2018 Empathy involves the ability to understand or feel what another person is experiencing from within their frame of reference. In other words, you are not conside..
An Introduction to Professional Supervision for Counsellors Jun 06, 2018 For the past few decades, the concept of supervision in the helping professions has been under continuous scrutiny. Many years ago, supervision was considered t..
5 Things a Life Coach Does for their Client Jun 21, 2018 Life Coaching is not the same as counselling, mentoring or similar helping roles. At its core, Life Coaching aims to get the client come up with their own goals..
Self care for People who Care for Others… Jul 25, 2018 If your job involves counselling, helping or supporting others, you may have a tendency to look after everyone else well, but place your own needs way down the ..
What are Life's Win Conditions? Sep 28, 2018 Life’s a game, so some say. Sometimes you win, sometimes you lose. One day has you checkmating your way to success and another sends you strai..
What's Stopping You? Apr 02, 2019 Most of us set ourselves goals, based on the ultimate life we want, whether these are health-related, career-focused or just being good at something. And.. Thank you for your question. This is a very popular course and you will ac quire the knowledge and skills needed to supervise other counsellors. Unfortunately we can not guarantee you will gain employment through it, as different employers will have their own criteria for job applicants. However if you are are a self-employed counsellor wanting to add this as a skill to grow your practice or you wish to become self-employed, then this course will equip you to do so. The course material is well written and your mentor: Iona Lister, will guide you every step of the way. Gaining clients will be down to your own efforts of course. Thank you for your question. The final exam is in the form of a written test, taken at a time and place convenient to you. Here is the link to the relevant section on our website about how the exams are administered. Hello there. I have been working as a qualified counsellor for 5 years. I have my own practice and am considering offering supervision. Could you please indicate the average time as in hours per week, and number of weeks that the course takes? Hello Tessa. Thank you for getting in touch. 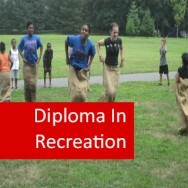 We can only give a guide for how long a course takes to complete of approx. 100 hours. This is because there are no deadlines and we encourage our students to work at their own pace. This means that you can delve as deeply into a subject as you feel you need to, so that the learning aims of the course are fulfilled and beyond. Unlike many learning providers who set deadlines, you are in control of how much you learn. The more time you commit to completing the set tasks, the more you will learn and the higher your grades will be. At the end of the course you will be awarded a pass, merit or distinction, based upon the depth of learning you have shown your tutor. In a practical sense, how competent and successful you are in supervising counsellors, will depend on how much time you apply to studying for the qualification. Thank you for your interest in the Academy for Distance Learning and for getting in touch. There is no requirement to build up any hours supervising counsellors in this course. Howether, we do have a course where you will be able to achieve this if you want to (industry Project), which you can complete alongside or after Professional Supervision for Counsellors. The fee for each is £325.00, or we can supply both courses for one upfront payment of £590.00. I have emailed you a pdf document describing how they work. Our courses are designed to be for Continuing Professional Development and you will be qualified to give supervision in all areas covered in the course. It is an in depth course covering aspects considered important to know by the course writers, who are/were industry relevant professionals. The course material is reviewed on a regular basis, to ensure it remains industry relevant. The course is given added value by ADL being recognised as a Centre for TQUK - Training Qualifications UK, which is an Ofqual Approved Awarding Organisation. It has also been independently assessed against the FHEQ and the EQF, so that students, employers and Universities can know at what level the course is. I hope this helps and I am sorry for the delay in answering. Professional Supervision for Counsellors course online. Learn to guide and advise other counsellors. 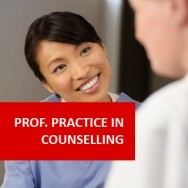 Professional supervision for psychologists and counsellors involves debriefing. Without the opportunity to discuss cases in a confidential professional situation, a professional can themselves begin to suffer from having to deal alone with a build-up of problems they confront regularly. Develops skills in supervising other professionals and an awareness of what to expect when undergoing supervision yourself. This course has been accredited at level 4, by ACCPH (Accredited Coaches, Counsellors, Psychotherapists and clinical Hypnotherapists). Graduates can join ACCPH as a professional member after completing this course and put the letters "MACCPH" after their name.
" Lectures, research - professional and fast feedback from my tutor, Iona. Very professional and great customer service". Identify the different managerial components of the supervision process including budgeting, monitoring frequency of supervision, selection of supervisors, and the question of standardisation. PBL: Create and present a plan with specific strategies for improving the supervision of employee’s work related skills, attitudes, and knowledge in the workplace, based on a clear understanding of the person’s needs, values, and situation. Each lesson requires the completion of an assignment which is submitted to the academyl, marked by the academy's tutors and returned to you with any relevant suggestions, comments, and if necessary, extra reading. Discuss problems caused by treating supervision as a form of quality control. Identify key problems associated with matching theory to practice in supervision. 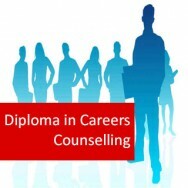 Licentiate, Speech and Language Therapy, UK, Diploma in Advanced Counselling Skills. Iona has been a clinician and manager of health services for fifteen years, and a trainer for UK-based medical charities, focusing on psychosocial issues, mental health disorders, and also the promotion of communication skills for people in helping roles. 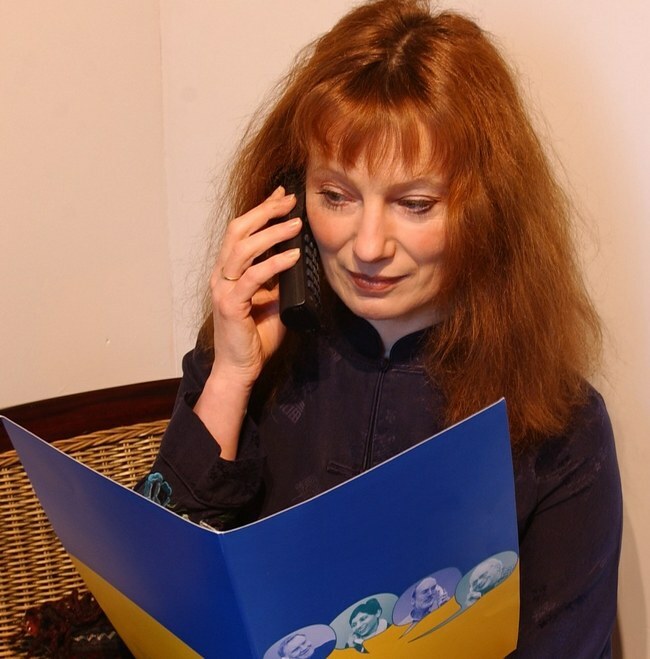 She tutors and facilitates groups via workshops and teleconferences, and now specialises in Sight Loss. As a freelance writer, she contributes regular feature articles for magazines, has written five published books, as well as published courses relating to personal development and counselling skills. Iona has also written published books, courses and articles across a wide range of subjects, mostly in the areas of health, counselling, psychology, crafts and wildlife. She has drawn experience from clinical and managerial experience within the NHS as well as medical and humanitarian subjects. She has been a regular feature writer and expert panel member of a national magazine for six years. Books include: A Guide to Living with Alzheimer's Disease (and associated dementias), The Psychology of Facial Disfigurement; a Guide for Health and Social Care Professionals, When a Medical Skin Condition Affects the Way you Look; A Guide to Managing Your Future, Facing Disfigurement with Confidence, Cross Stitch: A Guide to Creativity and Success for Beginners. Courses written include: Mental Health and Social Work, Counselling Skills, Understanding and Responding to Substance Misuse, Journalling for Personal Development, Guided Imagery, Stress Management. Current work includes: Tutor: Courses associated with Creative Writing, Counselling Skills, Psychology, Holistic Therapy, Certified Hypnotherapist and Hypnotension Practitioner. Supervisors maintain high standards of professional competence and ethical behaviour, and recognize the need for continuing education and personal care in order to meet this responsibility. Supervisors participate in only those practices which are respectful of the legal, civic, and moral rights of others, and act to safeguard the dignity and rights of their clients, students, and research participants. Supervisors limit their counselling services and practices to those which are within their professional competence by virtue of their education and professional experience, and consistent with any requirements for provincial and national credentials. They refer to other professionals when the counselling needs of clients exceed their level of competence. Supervisors take reasonable steps to obtain supervision and/or consultation with respect to their counselling practices and, particularly, with respect to doubts or uncertainties which may arise during their professional work. Supervisors claim, or imply, only those professional qualifications which they possess and they are responsible for correcting any known misrepresentation of their qualifications by others. The client has the right to be self-governing. The client must be respected and it is important that they participate in counselling or psychotherapy on a voluntary basis. This includes opposing the idea of clients being manipulated against their will. The practitioner must be trustworthy. They must act in accordance with the trust placed in them. Confidentiality should therefore be regarded as an obligation. This means that the practitioner should have a commitment to promote the client’s well-being. This includes acting in the best interests of the client at all times, based on professional assessment. Therefore the onus is on the counsellor to work within the limits of their counselling competence based on their personal training and experience. Justice refers to treating clients fairly and impartially, and respecting their human rights and dignity. It also includes the consideration of any legal requirements or obligations. The practitioner should foster their self-knowledge and care for themselves. There is an ethical responsibility to engage in supervision for professional support and development, and to actively seek training and pursue continual professional improvement. This means a commitment to avoiding harm to the client. This includes avoiding sexual, financial, emotional or other forms of client exploitation. The practitioner has an ethical responsibility to avoid causing harm, even when harm is unintended or unavoidable. This includes challenging the malpractice or incompetence of others and not bringing discredit upon the profession. 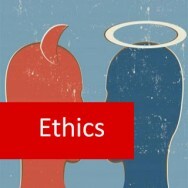 Supervisors understand that ethical behaviour amongst themselves, and with other professionals, is expected at all times. Supervisors do not condone or engage in sexual harassment which is defined as deliberate or repeated verbal or written comments, gestures, or physical contact of a sexual nature. Supervisors strive to understand and respect the diversity of their clients including differences related to age, ethnicity, culture, gender, disability, religion, sexual orientation, and socio-economic status.